The easiest way to get to Livingstone is by flying into the Livingstone Airport (Harry Mwanga Nkumbula International Airport - LVI). Driving Livingstone will require a bit more preparation, but the town is easily accessible. Rail travel is also an option, although this would be the slowest option. We have broken down the different options below. Livingstone Town (Zimbabwe) has an international airport serviced by domestic, regional and international airlines. Generally, flights into Livingstone are cheaper than to Victoria Falls, and some people choose this option even when they plan on staying on the Zimbabwe side of the Victoria Falls. However, this only makes sense if visa costs are low enough to make this option viable. The Harry Mwaanga Nkumbula International Airport / Livingstone International Airport, is no more than a 15 minute drive from the centre of Livingstone town. You can fly into Livingstone by connecting from centres such as Johannesburg, Nairobi and Lusaka. It is also possible to fly to Victoria Falls Airport in Zimbabwe which is less than an hours' drive from Livingstone town but there is a border crossing involved which can cause delays if travelling during the peak season. If you are unsure as to which country to stay in please visit this page Zimbabwe or Zambia it should help you to make a decision. Flights into Zambia are sometimes cheaper than the flights into Zimbabwe, however higher prices for accommodation, activities and access to activities in Zambia, can balance the sums. If you are staying in Livingstone, then it makes better sense to fly directly into LVI Airport. The time this process takes all depends on how full the flight is, so at peak times of year with full aircraft it can take a couple of hours to clear customs and catch your bus into town, in quieter times this can be done in under an hour, so just bear this in mind when booking any activities on the afternoon you arrive. Generally there is sufficient time for a sunset cruise or a helicopter flight. It is interesting to note that flight prices are very erratic across all the airlines. Highly expensive one day and then quite cheap the next. You can search all the major airlines and get the best prices available by using the Travel Start search engine below. Its really good actually, we use it all the time for our bookings. There are no direct flight from Windhoek (Namibia) to Livingstone. One would have to take the direct Air Namibia flight to Victoria Falls (Zimbabwe), and then transfer by road to Livingstone. The flights from Windhoek run on Sundays, Mondays, Wednesdays and Fridays. These flights go via Maun in Botswana for passengers wanting to connect from there. For research on all these destinations use Travel Start search engine above, it makes life a lot simpler. Proflight Zambia is the only airline to operate scheduled flights on this route, see their website to check flights and make a reservation. There have been concerns about the baggage allowance on these flights, again see their website for the correct details Baggage allowance. For more detail information on flight schedules, visit this Livingstone Flight schedule page. From Lusaka to Livingstone and destinations in between, the Zambia Railways operates two train services. While is certainly is not a luxury service, nor is it an express service, it is quite cheap and it is for those who have a lot of time on their hands. 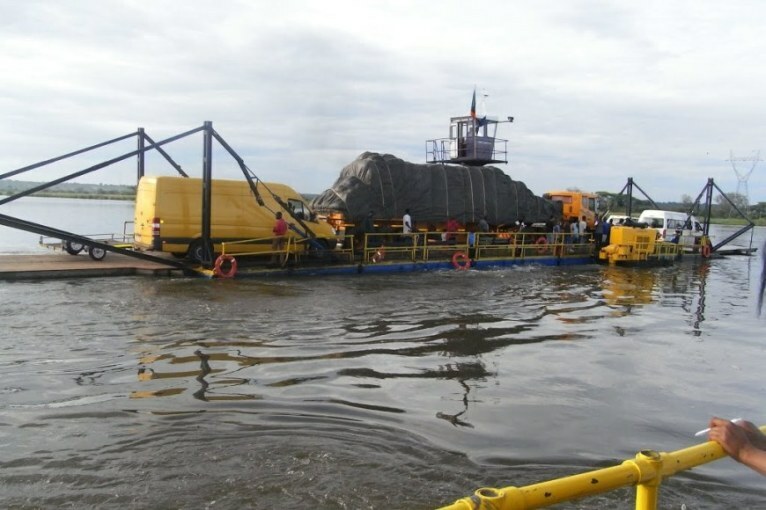 View our Information on Zambia page for scheduled dates and times of service. A more luxurious option from South Africa directly to Victoria Falls is the Luxury Rovos Rail. It is a few days of travel through scenic country-side in South Africa, Botswana and Zimbabwe. The cost is on the high end, but the service and experience is top-notch. Travelling to Livingstone by road is also an option. Fuel is now pretty much freely available, however some garages do run out so always make sure you have enough to get to the next fuel point. The price does fluctuate as with fuel prices around the world. Don't forget to take cash with as they will not accept credit or debit cards. Good tar roads access Livingstone from Lusaka, Kazungula in Botswana and Victoria Falls in Zimbabwe. The Victoria Falls Bridge border post with Zimbabwe opens from 06h00 to 22h00. When you enter Zambia with your vehicle, you will need to purchase a temporary import permit (TIP), at the border, or depending on the country origin, a carnet de passage (a customs document that identifies a traveller's motor vehicle or other valuable equipment or baggage). If you are not the owner of the vehicle that you are driving into Zambia, you will need to hold a letter from the owner or rental company, giving you authority to use the vehicle in Zambia. Of-course if you are passing through Botswana or Zimbabwe, you will need to produce this document as well. If vehicle is still being financed, carry a letter of authority from the bank (must include dates of travel) together with the vehicle license papers. The vehicle must be insured, and proof of this is required. You will also need third party insurance, which you can purchase at the border. Zambian Third Party Insurance on vehicles and trailers are valid for 1 month. Carbon Tax in Zambia is also paid at the border for each vehicle, and depends on the size of the vehicle(s). On the vehicle, you must have white and red reflective tape - Two small white rectangular size strips on the right and left hand side of the front bumper as well as two small red square strips on the right and left hand side of the rear bumper. In case of emergency, you are required to have two warning triangles in your vehicle. They must be on a metal plate. You must also have a fire extinguisher. Kazungula Ferry - Between Botswana and Zambia. Open between 06h00 and 18h00 everyday. May be slow during high season, but is about 64kms from Livingstone town. Sesheke/Wenela - Between Zambia and Namibia. Open between 06h00 and 18h00 everyday. From this border crossing, it is about 200kms to Livingstone driving through Zambia. Victoria Falls - Crosses the Victoria Falls Bridge between Zimbabwe and Zambia. Open between 06h00 and 22h00 daily. From the crossing, it is about 11kms to Livingstone town. Kazungula Road - This is an alternative to the Kazungula Ferry, but involves two border crossings in order to get to Livingstone. This border post is between Zimbabwe and Botswana and opens between 06h00 and 20h00 daily. Between this border post and the Victoria Falls border is 74kms (about an hour's drive), passing through Victoria Falls town. Between Lilongwe (Malawi) and Lusaka, Kobs Coach Service travels twice a week. Mazhandu Bus Company makes several trips to and from Lusaka on a daily basis. They can be found at the InterCity Bus Terminus in Lusaka, and the local bus terminus in Livingstone. After the Victoria Falls border, the next nearest border post is the Kazungula border with Botswana. This option is ideal for self-drivers or travellers who don't want to go through Zimbabwe, but directly into Zambia from Botswana. This border crosses the Zambezi River on a pontoon ferry, and opens between 06h00 and 18h00. There is no scheduled departure for the ferry so do not expect to get through quickly. The Sesheke border with Namibia is crossed via the Katima Mulilo Bridge, and opens from 06h00 to 18h00. The bridge is about 200 kilometres (124.3 miles) from Livingstone town. To cross the river on Kazungula Ferry with a vehicle, you will need to pay a Council levy for each vehicle and trailer. All foreign vehicles have to pay a Cross Border Charge (CBC) permit when entering Namibia and which has to be handed in at the departing border post. All South African vehicles have to display a "ZA" bumper sticker and it is advised that South African registered vehicles have a recent Police Clearance Certificate. For information about vehicle and other requirements, read our Zambia Information page. Probably the fastest way of getting around Livingstone is by taxi. They are easy to spot and you will see them all over the town, the majority are a light blue in colour. 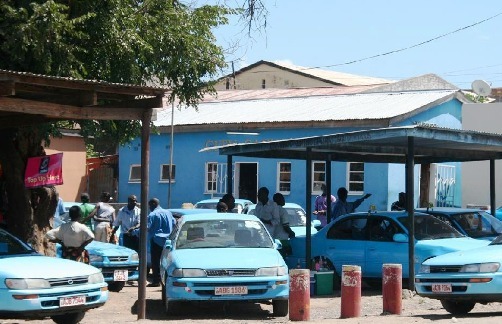 The taxis are generally not metered, but there is a price range that you can get from the Civic Centre in Livingstone. Otherwise, prices are negotiable. If you are driving, especially at night watch out for drunk drivers and potholes. Driving in Livingstone is generally safe, but be sure to lock your doors and do not leave any valuables in plain sight as these may attract thieves. You will should to keep your drivers license and vehicle registration documents close to hand. Road blocks are common, even in the town centre. See more information about driving in Zambia here. Transfers between hotels and lodges in Livingstone, and activities or the airport can be arranged, although some hotels will pick up their guests from Livingstone Airport. Transfers can also be arranged for destinations across the border to Victoria Falls and Victoria Falls airport, as well as to Chobe in Botswana. Charter flights can be expensive, for the longer distances such as to the Okavango and very remote areas where it is difficult to drive. However, for larger groups, it may prove to be the best value for money.